Yesterday brought a #FountainFriday post featuring Mickey Mouse and his fountain in Toontown. But he's not the only one with a water feature. Over on the downtown side of the area, Roger Rabbit has a quirky fountain as well. Located in front of Roger Rabbit's Cartoon Spin, Roger's fountain is visually wacky, with the plucky rabbit balancing on a jet of water while being surrounded by a cluster of apparently worshipful fish. Hey, anything for an audience in this town! 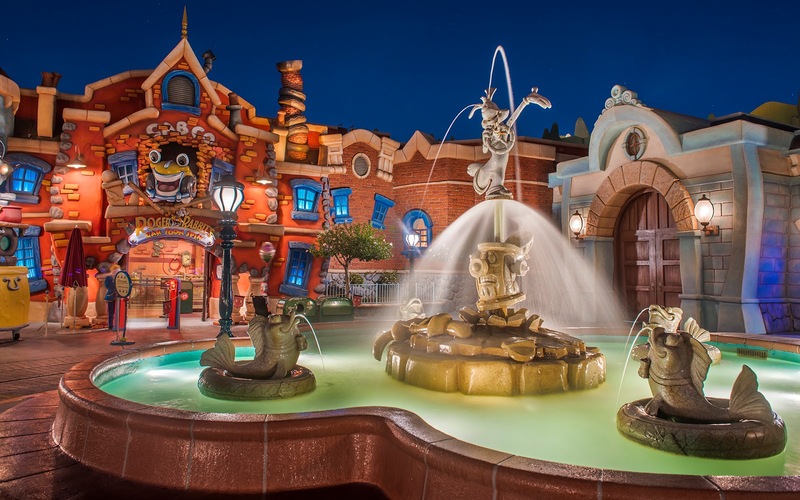 Roger Rabbit stands atop a different fountain on the opposite side of Mickey's Toontown.